You probably recognize this scenario: you open op your refrigerator ready to get some lovely fresh lettuce, only to find that the lettuce has gone from nice and green to brown, lumpy and slimy. Juck! About a third to half of all food grown around the world is wasted by improper management of refrigerators! We’ll show you ten great ways to avoid food waste. The above story happens when we purchase and cook too much food. When you don’t finish eating your plate, food get’s thrown out. Some food is even spoiled before it hits the shelves at supermarkets. This can happen at farm level because of the manufacturing and shipping procedures. The saddest part of it all is that around 50 percent of all food waste comes from our homes. Food rots away in refrigerators because we don’t use or store it in time. 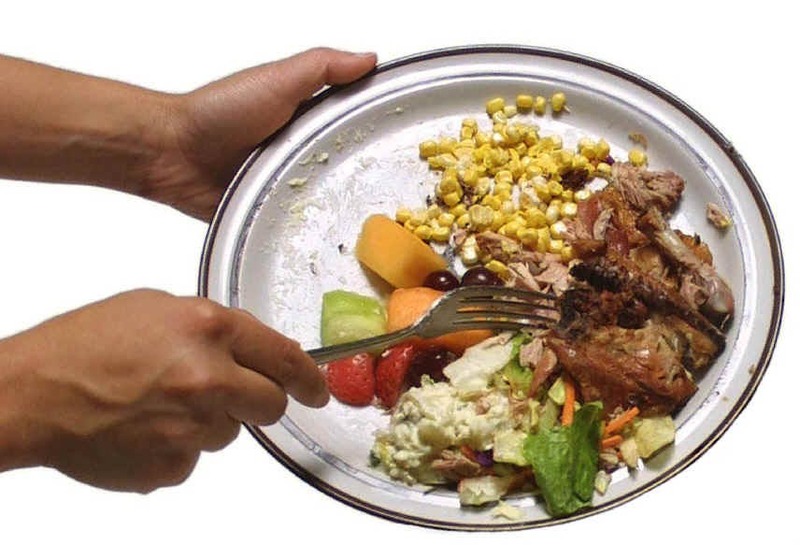 An estimate of 2000 dollars worth of food waste builds up every YEAR for an average American family. This roughly translates to forty percent of total money spent on food per household. This means that each year BILLIONS of dollars worth of food gets thrown out in America alone, which is crazy. So without further ado, here’s our list of 10 great ways you can use to limit food waste. Don’t buy food you don’t actually need. We cannot emphasize this enough. Most people go grocery shopping once a week and most of them wonder why fresh foods don’t last that long. This can be prevented by going to the markets more often. If that’s not something you are going to do, you can always plan out your meals ahead of time and purchase only the items needed for those dishes. Sort out fresh products appropriately when you get your groceries home. Be wary that not everything has to be stored in the refrigerator. Take a look at our article about 10 types of foods you don’t need to put in the refrigerator. Some foods spoil faster when they are washed because the washing will remove the outer layer, causing faster ripening. Wetness of washed goods can encourage growth. Wash fresh products only before you are going to eat it. Learn how you consume. When you keep in mind the ways you like to consume your fruits, vegetables and fresh food as soon as you have brought it home from the store or supermarket. This will make it much less likely that you’ll let it spoil. Keeping your refrigerator neat and organised in a way that food is visible will make it much less likely that you oversee an item. This is important because some fruits and vegetables will otherwise deteriorate. Buy locally. If you have the budget and time in your schedule I can recommend purchasing from your local farmer. This greatly reduces shipping and storage time. This not only means that your food will last for a greater period of time, but you will also get more nutrients from the food. Another bonus is lessening an environmental footprint, if you’re into that sort of stuff. Grow your own herbs. When you have grown your own herbs (or even store-bought ones) you can preserve them for a long period of time. You can do this by adding the herbs into olive oil and freezing it. Olive oil infusion will occur when freezing, you can divide it into a ice cube tray so you won’t have to defrost the whole batch next time when you just need a little amount. This is also very handy when cooking, you can pop one herb ice-cube out of the freezer and use it as a base of your dish. I must say this method works best when combined with herbs like: rosemary, thyme, sage and oregano. Herbs like dill, basil and mint should always be used fresh or at least dried. What to do with leftovers. You’ve cooked a lot of food and now you have leftovers. You can store the leftovers into a portion sized container instead of one larger dish. This is the same trick as the one above (with the herb ice cubes). This will greatly save you time the next time you want to whip up a quick and delicious dinner. Don’t let a lot of your food expire. It’s important to watch expiration dates of fresh food when shopping. You can balance it by estimating how long the item will take to use up the product before it hits the expiry date. But make sure that when purchasing a new item the previous one has to be finished first. This is called F.I.F.O. and it stands for First In First Out. This might sound very logical but I still see people not applying this simple method which means they would have to trow stuff out. Thus wasting more. Bread in the freezer. Have you ever stored bread in the freezer? You might not believe it, but bread will spoil much faster when being frozen first. It’s better to store bread on your kitchen counter in a tightly sealed container or bag. You can also put cereal, dry foods and dry pasta into air tight containers after opening the original packaging. I can strongly recommend using mason jars, they make great (airtight) storage and helps you avoid tossing away stale products. Dried out cheese. To prevent cheese from drying out you can add a dab of butter to the cut side of it. This will prevent it from drying out. If you don’t like butter on your cheese you can always wrap it into wax paper (not the plastic one) and place it into a reuseable bah Store this in the warmest area of your fridge and keep it away as much as possible from the chiller drawer. Using leftover meat and poultry. If you are going to be using meat and poultry again within two days it’s acceptable to keep it into the original packaging. This is because wrapping meats and poultry increases the risk of exposure to (harmful) bacteria. Meats like bacon can be stored frozen for up to a month. It’s also possible to store a whole fish in your freezer, or broil it first. Once food items go bad in your refrigerator or cupboard, they can leave behind a gang of mold anxious to eat up the rest of your food. Ew! When this happens it might be a good time to disinfect your whole refrigerator so that the rest of the items will last longer. So, we’re curious: what are your tips for reducing food waste? Great tips again! I especially like the second one. Many people say to prepare your greens, veggies once a week, wash, slice, chop them, then it’s easier to cook or snack quickly. But for me that is just a way to make my food go bad earlier.